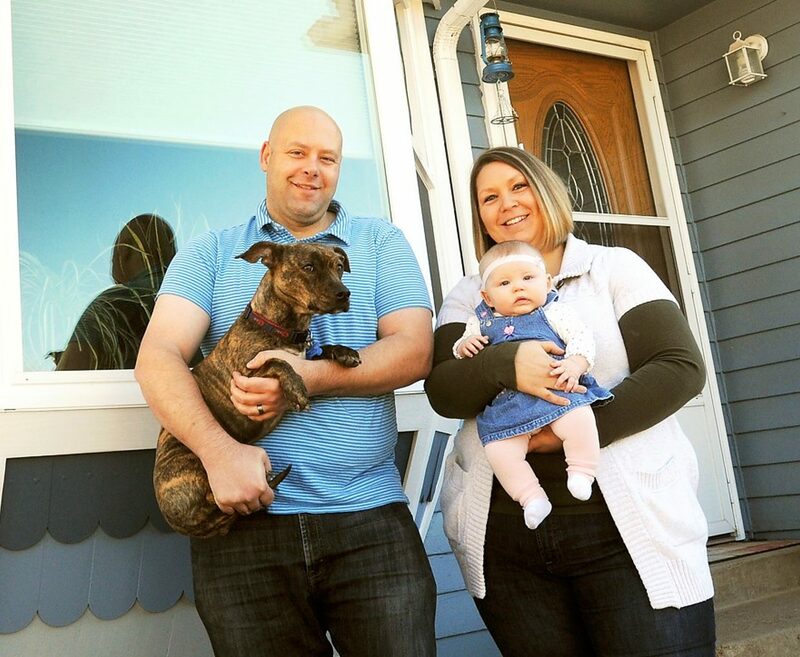 Shawn and Cristi Tolle with their daughter, Morgan, and the family dog, Hazel, are enjoying more home comfort and electric savings thanks to new windows in their home. They financed the project through Holy Cross Energyâs on-bill loan program. For details about Holy Cross Energy’s on-bill financing, visit holycross.com. Look for “Energy Saving Loans” in the “Rebates and Energy Efficiency” box. Or call Holy Cross Energy at (970) 945-5491. When Shawn Tolle would run his hand around the living room window in his Carbondale home, it “felt like a waterfall of cold water coming in” through the leaky window. Tolle and his wife, Cristi, knew that, with a baby on the way, their home needed new windows. 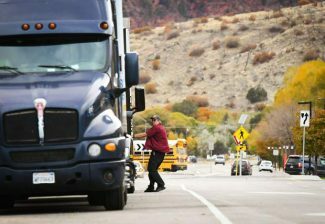 But they needed help in paying for the project’s cost, which topped $12,000. 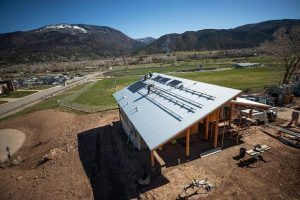 Because they are Holy Cross Energy customers, the Tolles could use the on-bill financing offered by the utility in partnership with Bank of Colorado. The young family got a low-interest loan that they pay back on their monthly electric bill. Holy Cross Energy offers on-bill financing to all of its customers, residential and commercial, to help pay for projects that increase energy efficiency and reduce electric demand. The Tolles had all seven window units in their home replaced in June 2014. The project added value to the home and made it more comfortable — just in time for Morgan’s arrival in November. Tolle said he used the wood stove a lot less than expected last winter. Even with the all-electric home being occupied more on weekdays, their electric bill is still lower. 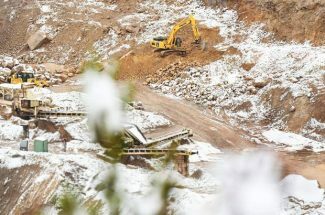 Having access to a low-interest loan through Holy Cross Energy’s on-bill financing made the project feasible, Tolle said. For all-electric residences, the Holy Cross Energy on-bill financing can be used to cover insulation, air sealing, windows and sliding glass doors. And for any residential customers, the loan can cover a whole-house LED lighting retrofit, or a conversion from air conditioning to high-efficiency evaporative cooling. Businesses, schools, churches and other buildings served by Holy Cross can also use the on-bill financing for upgrades such as LED lighting, mechanical equipment, building controls, refrigeration units, cooling systems, variable frequency drives and motors. The financing can also be used to cover a professional energy audit, which can help building owners identify energy-saving opportunities. On-bill financing is offered for projects costing $2,000 to $25,000, for terms of two to five years, and at interest rates ranging from 3 to 4 percent. Larger loans can be approved on a case-by-case basis. It’s important to contact the member services team at Holy Cross Energy prior to starting the project. The energy upgrades need to meet high-efficiency standards, and work must be done by an approved list of contractors. The loan is awarded after the work is complete.